Windsor, Eton, Runnymede and River Thames. Daily on our Private Car Tours. For details, click on 'Private Car Tours'. By bus: Mon. Tues. Wed. Fri. & Sat in the Summer only. This is the most historic castle in Britain with stunning views of the surroundings and Eton College. The castle contains a priceless collection of paintings, furniture, porcelain, tapestries, handed down from many past generations of monarchs who lived there. 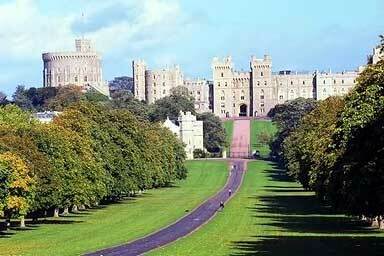 The home of the Royal Family for 900 years. We start by taking you approximately 20 miles upstream, from London to Berkshire and Surrey, the tour offers both a good drive through historic areas of London and a view of the river Thames and the pretty English countryside. Treasures and Works of Art are not the only interest in the visitor's mind. The historic part of the town of Windsor is beautifully preserved, very pleasant and enjoyable for a stroll. The excursion includes a drive to Runnymede where King John met his barons in 1215 and agreed to sign the Magna Carta that was to have a profound influence on rights and freedom, not only in England, but across much of the civilised world. Before going back to London, depending on circumstances, you have a reasonable free time for tea. Please note that, up to the end of March, this tour may have the Secure Online Payment Facility withheld. Either, Email us for confirmation of services or, your best alternative is to click on: 'Private Car Tours' on the left menu, for details of our daily Windsor Castle Tour. Email: info@londontourguides.com N.B. 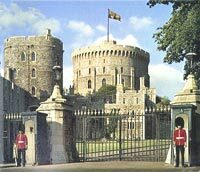 : *On occasions, viewing of Windsor castle is restricted or closed to the public due to special events. Tours due to visit the castle on those days, will visit Hampton Court Palace instead.